Being an eminent organization, we hold expertise in Processing, Exporting and Supplying a wide range of Mineral Powders. Our portfolio consists of Quartz Grain, Quartz Lump, Feldspar Grain, Acidic Ramming Mass, Premix Ramming Mass, Dolomite Powder and other allied minerals. These are processed by our experienced professionals using fine quality mineral ore that is sourced from the reputed vendors of the market. Our offered minerals are well known in both domestic as well as foreign market for their features like accurate composition, effectiveness, precise pH value and purity. A team of quality controllers always keeps strict vigilance at every stage, starting from the procuring of compound to final delivery. This helps in ensuring that our offered range is in conformity with the defined industry standards. We are equipped with world class infrastructural facility, which enables us to present the customers with a qualitative range of Mineral Powders. 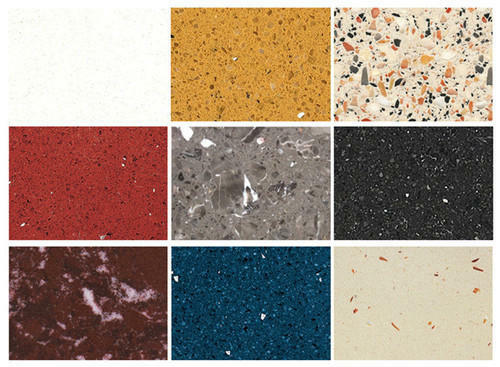 Our offered minerals are widely used in various Industry like Steel, Glass, Engineered Stones, Water Filtration, Paints etc. The credit of our success goes to highly competent and dedicated professionals, who put their best efforts forward for deriving complete customers satisfaction. Further, with the help of our packaging unit, we offer superior quality packing that retains the efficiency and purity of the minerals.